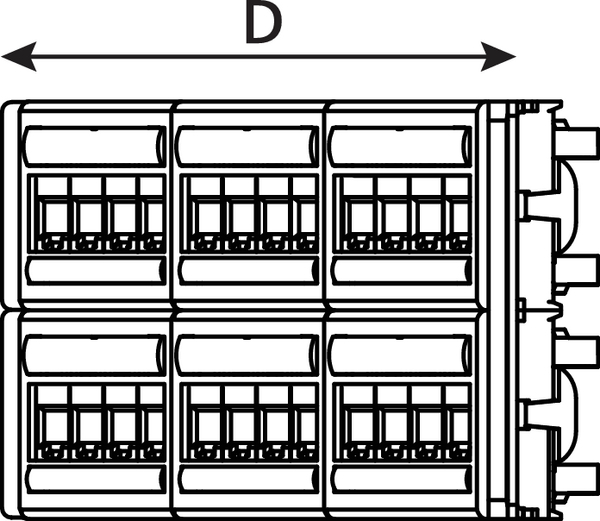 Description The Angled Global Category 5e range of patch panels offer exceptional performance and are available in 1U 24 port of 2U 48 port versions. 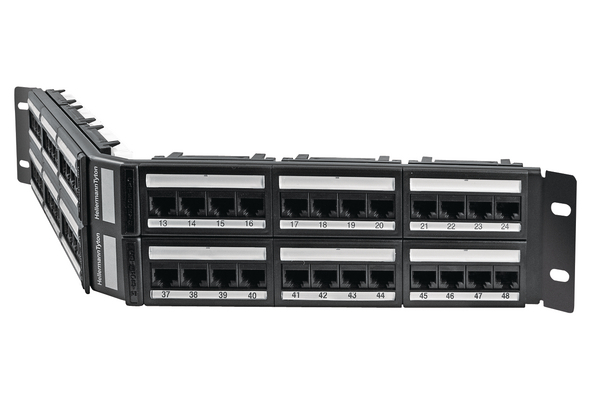 The Angled Global 2U 48 port panel is constructed of 12 modular units, each offering 4 RJ45 ports. The panel can be supplied partially loaded to meet the exact requirements of the application, giving a cost effective solution. The angled design of the panel removes the need to use front cable management increasing capacity by up to 50%. 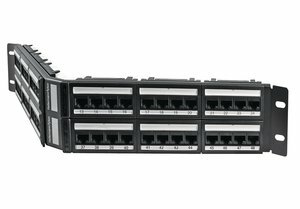 The Category 5e Angled Global patch panels are designed to support any data or voice protocol that is capable of running over a Category 5e cabling system. Technical Description The Global Angled panel is manufactured from black powder coated mild steel and the jack presentation within the patch panel is a 4 port modular PCB assembly which can be removed and replaced if required. Each PCB module is tested to exceed the latest published versions of ISO/IEC 11801, BS/EN50173 and ANSI/TIA/EIA 568-C Category 5e. The Angled Global Panel is supplied with a comprehensive colour and numbering label on the rear of the modules showing both 568A and 568B wiring options to ensure error free terminations. The panel is supplied with Rack Snap mounting fixings as standard, the panel is also available with Cage Nut fixings, 12 - 24 rack screws or without fixings if required. The Angled Global panel offers 2 labelling fields with a magnifying lens for clear identification as standard and an optional rear cable manager is also available. The Alpha Label software package is available for download at www.htdata.co.uk and enables straight forward port labelling. The Angled Global Category 5e Panels offer backward compatibility with Category 5 and Voice products.